Washington • An internal watchdog has cleared Interior Secretary Ryan Zinke of wrongdoing following a complaint that he redrew the boundaries of a national monument in Utah to benefit a state lawmaker and political ally. The Interior Department's office of inspector general says it found no evidence that Zinke gave veteran state Rep. Mike Noel preferential treatment in shrinking the boundaries of Utah's Grand Staircase-Escalante National Monument. The report says investigators found no evidence that Zinke or other department officials knew of Noel's financial interest in the revised boundaries or gave him preferential treatment. Noel, an outspoken critic of federal land management, is retiring next month after 16 years in the legislature. The monuments were among four that Trump targeted for cutbacks to reverse what Trump calls overreach by Democratic presidents to protect federally controlled land. The other two monuments, in Oregon and Nevada, remain intact despite Trump's promise to shrink them. A spokeswoman for Zinke told the AP that the report "shows exactly what the secretary's office has known all along - that the monument boundaries were adjusted in accordance with all rules, regulations and laws." The report "is also the latest example of political opponents and special interest groups ginning up fake and misleading stories, only to be proven false after expensive and time consuming inquiries by the IG's office," spokeswoman Heather Swift said in a statement. Investigators also are reviewing Zinke's decision to block two tribes from opening a casino in Connecticut and a complaint that he reassigned a former Interior official in retaliation for criticizing Zinke. Zinke has denied wrongdoing and told the AP this month that he's "100 percent confident" he will be cleared of all ethics allegations. Trump has said he does not plan to fire Zinke but would "look into any complaints." Noel said in an email Monday that he never talked to Zinke or anyone at Interior about the monument boundaries "associated with my private property, nor did I receive any favorable treatment regarding my property." He called the allegations against him and Zinke "reckless, unsubstantiated and totally without any facts." 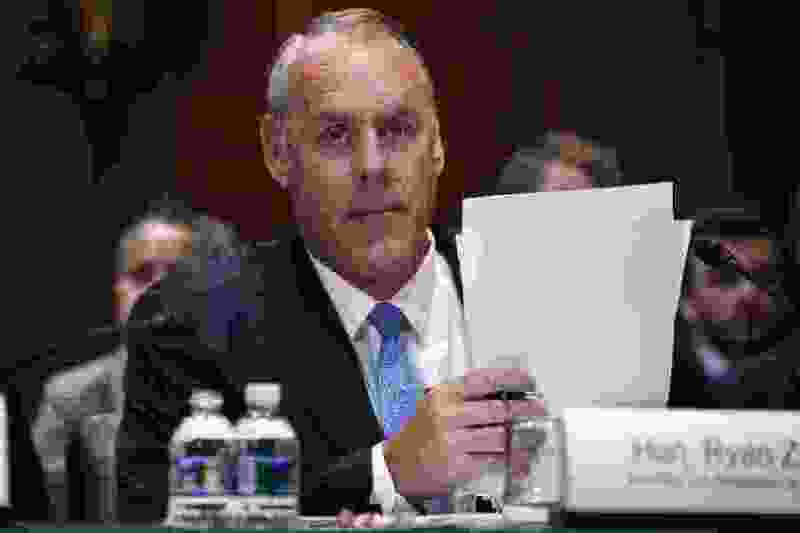 Chris Saeger, executive director of the Western Values Project, a Montana-based environmental group that filed a complaint against Zinke, said the inspector general's office should immediately release the full report "and let the public judge the merits of the findings." The groups said photos taken of Zinke and Noel together during a visit to Grand Staircase last year "seem to contradict" the report's conclusion. Democratic Rep. Raul Grijalva of Arizona, who is set to become chairman of the House Natural Resources Committee in January, said he accepts the report's findings, but added, "Secretary Zinke should have known the people he was listening to while destroying our national monuments had disqualifying conflicts of interest."